Nathan is a horrible human being. Or at least he is, right up until the moment he has an accident at a meat-processing plant. Famous person that he (kinda) was, he was opening it, after having endorsed the product in a terrible advert, that made use of his one hit wonder. Bit sad, really. Sadder still, he has acted so awfully to all those around him, including his long-suffering partner Susan and next door neighbour Tim, that his morality score is painfully low. No heaven for our Nathan. Instead, with the assistance of afterlife liaison officer (definitely not angel) Jenny, he must begin his slow climb through the reincarnation cycle, back up to human. Along the way, he will spend a life as many different creatures, possibly learning to become a better person. In this first episode, he's the lowliest of the low, the snail. A snail in his own front garden no less, at risk of death from both the blue crocs of poor taste, and the salty Frazzles he once considered a food group. But at least he's not alone, as he finds a new family of snails, in particular Bert, his new intern. Together, he will lead them on a great quest to "just over there", a bountiful land of vegetables and the addictive lettuce. He's helped on his way by Jenny, who has instructive flashbacks from his life, acting as a form of conscience as well as his admin. Apparently heaven runs on Windows ME, so her recommendations aren't the greatest. She's one of my favourite parts of the show, both sarcastic and vaguely disinterested. An excellent example of the tired office worker trope, with a pleasingly grumpy persona. 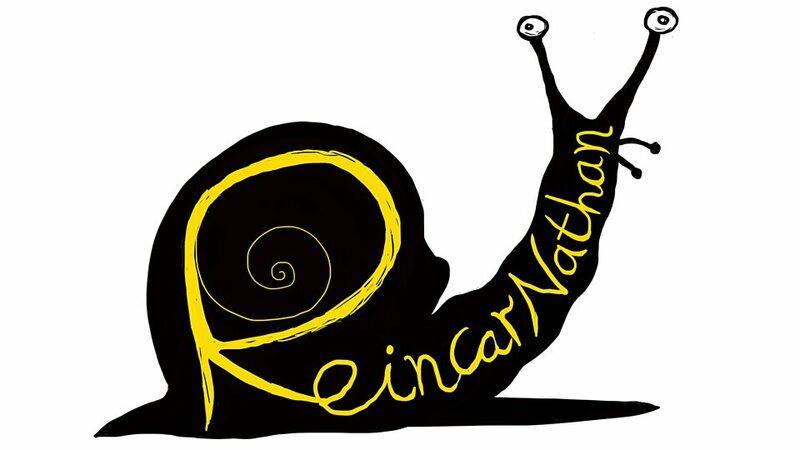 It's rather entertaining in general, with Nathan's misanthropy being very fun, and a surprisingly enjoyable sight into the life of the garden snail. You wouldn't have thought it was the greatest source of comedy, but I suppose we've also had At Home With The Snails, so there must be something in it. It's also got a very amusing Princess Bride reference. Given the next episodes are going to be about Shrimp and Swallows, I'm going to assume it remains fairly episodic, with a quest of the week each time. And it's got an impressive range of guest stars scheduled up. Will definitely be keeping with this one.